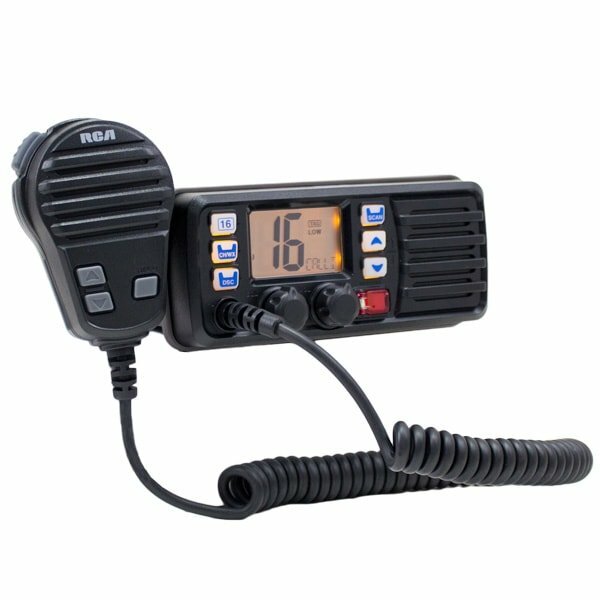 The RCA MR240 Marine Portable is a commercial grade, 5 Watt VHF marine radio designed with fully submersible IPX7 body. It floats and flashes when dropped in water. If you drop this floating radio overboard, it’s easier to find than ever, day or night. Floating and Flashing – At the bottom of each radio is a light that blinks while floating in the water. The LED light is noticeable in the dark (like a flashing fishing float) so the radio can easily be found while in the water. The light works even when the radio is turned OFF. Vibrates to Remove Water from the Speaker – The RCA MR240 comes standard with a new technology that helps clears water from the speaker. This vibrating function emits a vibrating beep that helps remove water, which can muffle the sound coming from the speaker, from the speaker housing. Small and Light – The MR240 has a very compact and lightweight design yet delivering full 5 watts of power. 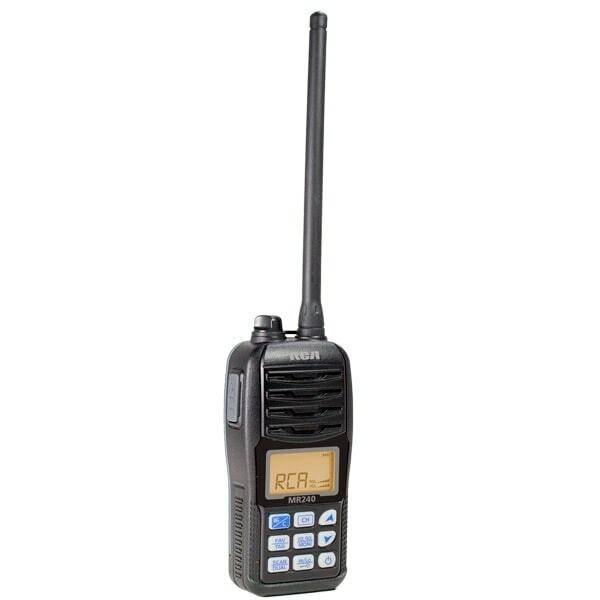 Energy-Saving 3.7V Circuit – Powered by a slim 3.7V Lithium-Ion battery pack, B2415LI, that reduces the size, weight of the radio and produces full 5 Watts of Power alongside a powerful and clear 600mW audio. The battery provides 10 hours of operating time. Easy to see large LCD – The large, easy to see LCD (32 × 16 mm) offers a clear 2-digit channel number indication.